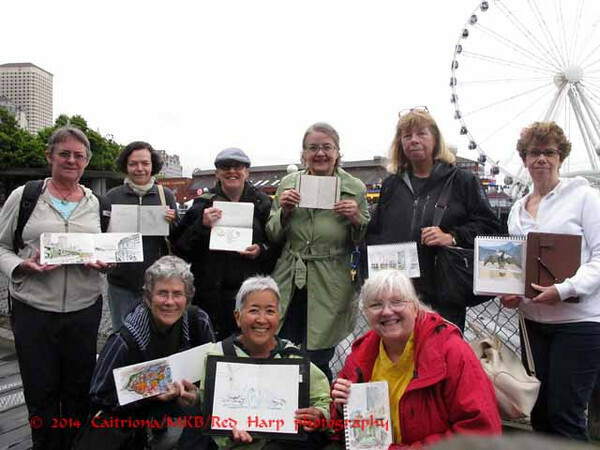 The adhoc Friday Sketchers of Urban Sketchers Seattle met at the Aquarium today. It was a cold, gray wet day. In between sprinkles, some of us tried to sketch outside. Inside, it was a challenge to get a spot to sketch as we were in competition with what seemed like hundreds of school children. I got to the sea otter area before there were too many small visitors. 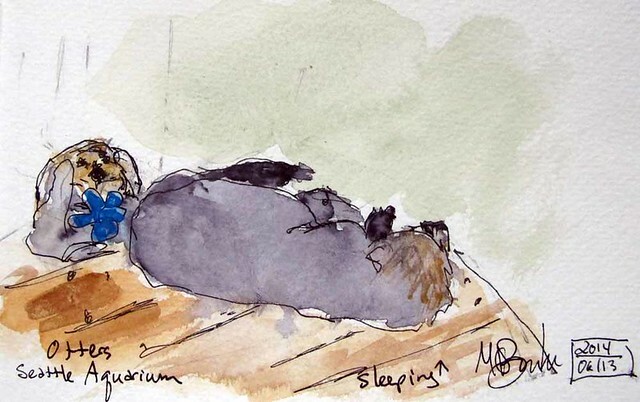 One otter was sleeping and seemed to be a furry lump. The other floated on her back and played with a bright blue toy. 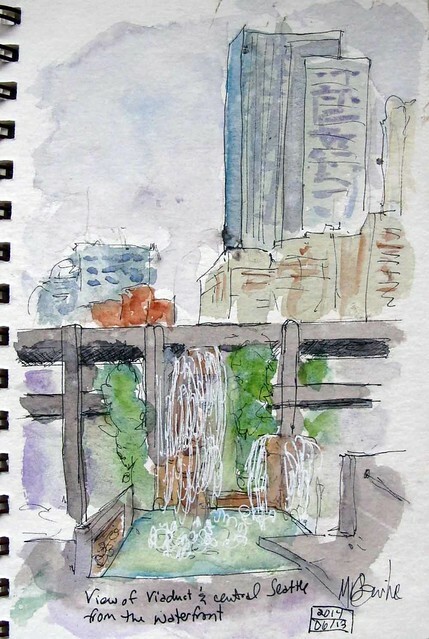 I escaped outside to sketch a fountain, the viaduct and skyline. 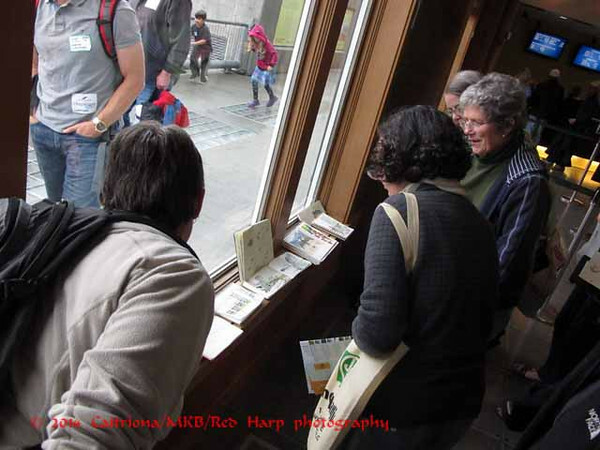 We shared our sketches on a ledge just inside the building. Then we went outside for our usual group photo, with the Great Wheel in the background. Ann had to leave early but I think she's the only one missing.